Vodka Hangover Remedy: How To Avoid Crapulence After Vodka Drinks? Vodka Hangover Remedy: Does Hangover-Free Vodka Exist? Vodka is a pure low-congener beverage that has a reputation of giving less severe hangovers. However, as common alcohol used in many mixed drinks, a vodka hangover is still very much likely to happen. This article discusses the causes, and symptoms of severe negative reactions to this beverage, and critically analyzes a few general beliefs around them and also gives a few vodka hangover remedy and treatments along with good drinking practices to prevent this condition altogether. What are the causes of negative after effects? What are the symptoms of vodka veisalgia? What are the different types of hangovers? How much alcohol will cause this unpleasant drinking aftermath? Does vodka give fewer negative reactions than other drinks? Does “no hangover” vodka exist? Does Drinking Vodka Lead To Hangovers? Similar to any other alcoholic beverage, vodka hangovers happen as an aftermath of alcohol intoxication. This is a high percentage alcoholic beverage that generally has close to 40 ABV (Alcohol by Volume). Therefore, the answer to the question does vodka give you a hangover is yes, it has the probability of giving a hangover feeling to a drinker. However, due to being a purely distilled alcohol that has a very low amount of congeners, the severity of negative effects it gives is relatively low. Even when there are negative after effects, they are usually milder such as dry mouth and fatigue, when compared to a situation such as a beer hangover with more severe symptoms like headaches and nausea. This traditional Russian alcoholic spirit affects a person’s body in many different ways. One of the most direct ways this affects the body of a drinker is by dehydrating and making electrolyte imbalances. As high percentage alcohol, it increases the urine production of the body, which leads to dehydration and also other symptoms like thirst and lightheadedness. Another less common effect it has on the drinker’s body is making gastrointestinal disturbances such as causing inflammations on the stomach lining. Note that drinking alcohol even if it hurts the organism severely is one of the addiction signs. Treat alcohol abuse before it ruins the life. As a high ABV alcoholic beverage, the negative reactions caused by this particular drink share similar symptoms to many other beverages with high alcohol percentages such as whiskey hangover symptoms. It will show quite similar symptoms for the drinkers who regret having too much tequila last night after a night of partying as well! Experiencing these symptoms is extremely common, which leads to believe that vodka with no hangover symptoms at all is a rare occurrence. The severe veisalgia symtpoms may require enrolling in the addiction facility. Other less common symptoms included disturbances in the stomach and intestines such as getting diarrhea from vodka hangover. Do Different Types Of Vodka Give Different Hangovers? 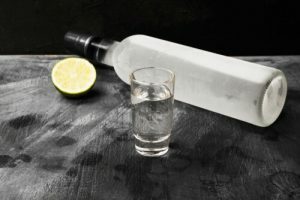 There are many assumptions around vodka and its effects, including the different kinds of negative effects given by different brands and types of this beverage. As traditional Russian alcohol that has a history of being produced in a variety of ways, it comes in many different flavors and different percentages of alcohol. Cheap Vodka – Worse Hangover? One of the biggest reasons that any cheap alcoholic beverage tends to give worse after effects are the risk of contamination, which applies here as well. For those who are looking for vodka drinks to avoid a hangover, it is always good to avoid homebrews and cheap products that come from low production quality facilities. Most stores bought good quality brands in this beverage do not usually have differences when it comes to negative effects due to industry standards when it comes to purity and alcohol percentages. There is no known correlation between the different flavors of this alcohol and the negative after effects as well. However, a common way many people increase the severity of after effects is by mixing alcohol. Even if vodka stays pure and with low congener levels, mixing it with other types of alcohol can increase the severity of hangovers. How Much Vodka Causes A Hangover? The way people respond to alcohol is different from one person to another. One person’s choice for best vodka for no hangover can give another person the worst experience in their life! There is no magic number to say this much of alcohol will give a bad experience. There is no default best vodka drink for no hangover either. It all depends according to the alcohol tolerance levels in different people, which is why it is important that everybody is consciously aware of their alcohol intake at all times, regardless of what alcohol they drink or how long they have been drinking it. Is It True That Vodka Is Least Likely To Give A Hangover? There are many assumptions when it comes to alcohol consumption such as gin doesn’t give hangover, and vodka causes the least hangover. These beliefs should always be taken with certain skepticism since the way people react to alcohol is extremely subjective. The reason for this belief when it comes to this particular beverage, the distilled process keeps it pure with virtually no congeners or harmful substances that are produced during the fermentation process. According to a report in The British Medical Journal, vodka is one of the few alcoholic beverages that has the least uncomfortable symptoms. It causes drastically less negative effects compared to wine hangover cure due to the high level of congeners. Therefore, for those who have experienced having less of the hangover with vodka, there is scientific research to back it. It is extremely important to know, however, that these cannot be universally applied due to different alcohol tolerance levels in people. Is It Possible To Claim No Hangover With Vodka? There are manufacturers out there that claim they produce a vodka that doesn’t give a hangover. This clear spirit has little to no congeners and helps the drinker to have the least amount of negative after effects. However, the main cause of negative effects is the ethanol in alcohol. Even the purest forms of this traditional Russian beverage has up to 40% ethanol, which always poses a risk of negative after effects for the drinkers depending on their ethanol tolerance levels. If one seeks what vodka gives the least hangover, they should go for the most purely distilled vodka has the least probability of giving severe symptoms to a person. The handle of vodka hangover is similar to all other high concentration alcoholic beverages like gin or rum hangover cure. When it comes to treatment, staying as hydrated as possible should be the very first step, just like when people handle how to cure an absinthe hangover or any other type of post alcohol negative effects. Keeping stomach filled with food before and after consuming alcohol also reduces symptoms. The best mixer for vodka to avoid a hangover is choosing juice over any soda mixes. 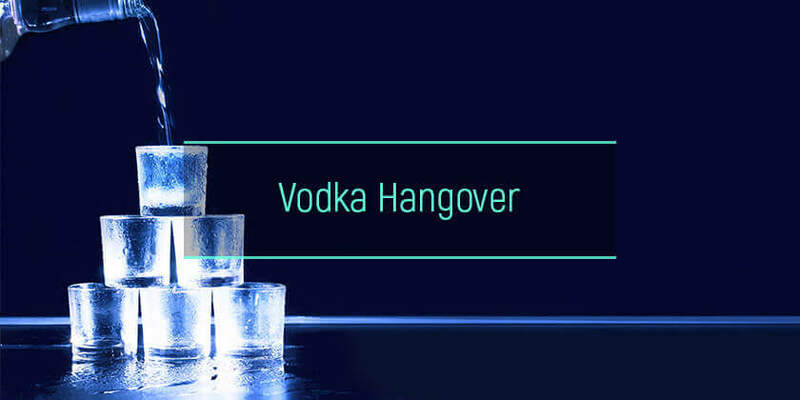 AlcoRehab » Hangover Symptoms, Causes, And Side Effects » Hangover And Mixing Alcohol: Different Types Of Crapulence » Vodka Hangover Remedy: Does Hangover-Free Vodka Exist?